Ahhhh.... a new year and new resolutions. One of mine is to morph into a super organized neat freak. 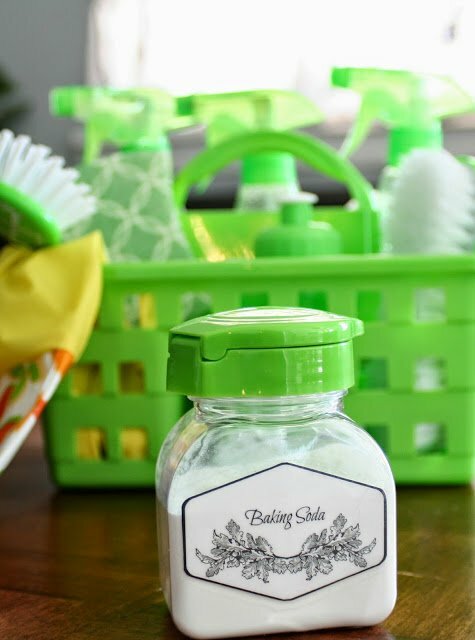 What better way to start than with a cute new cleaning kit? I was at Dollar Tree the other day when I saw all of their colorful organizing/cleaning/storage collection. I thought to myself that I could use some new baskets. And then I saw all of the other matching containers and scrub brushes. I picked up several items and I figured I would put together a new cleaning kit by mixing up some homemade cleaning products. 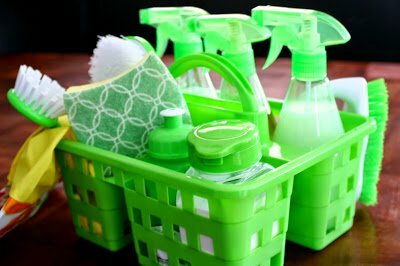 At Dollar Tree I purchased my cleaning kit caddy in the basket section. I found my 3 scrub brushes, a pack of sponges, and my gloves in the cleaning section. The spray bottles were found with the health and beauty products. Finally, I found my squirt bottle and lidded shaker (both came in a 2 pack) in with the food storage. I love Dollar Tree! 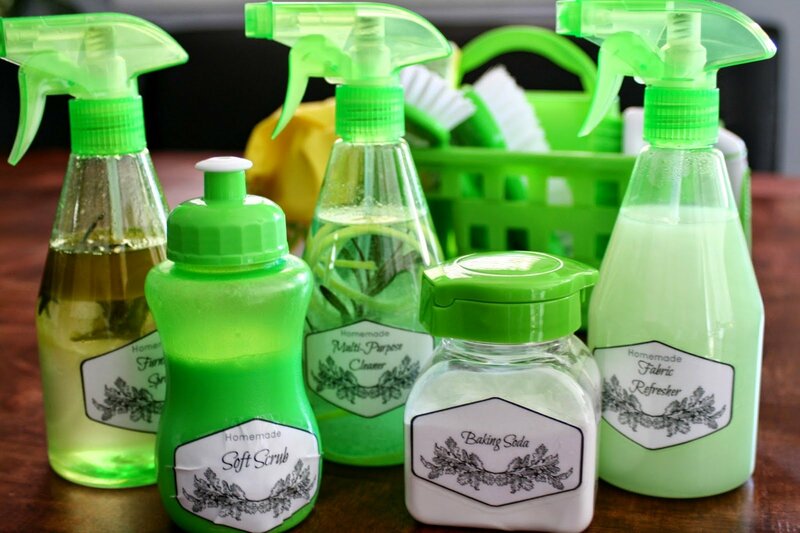 Even most of the ingredients for the homemade cleaning products can be found there. 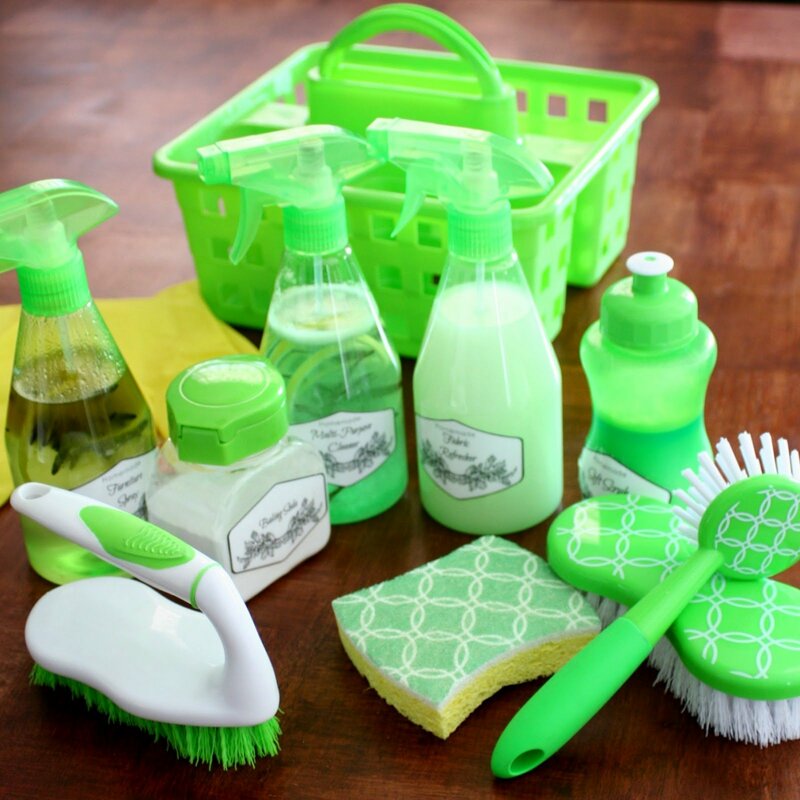 For this particular cleaning kit, I had my bathrooms and living room mainly in mind. 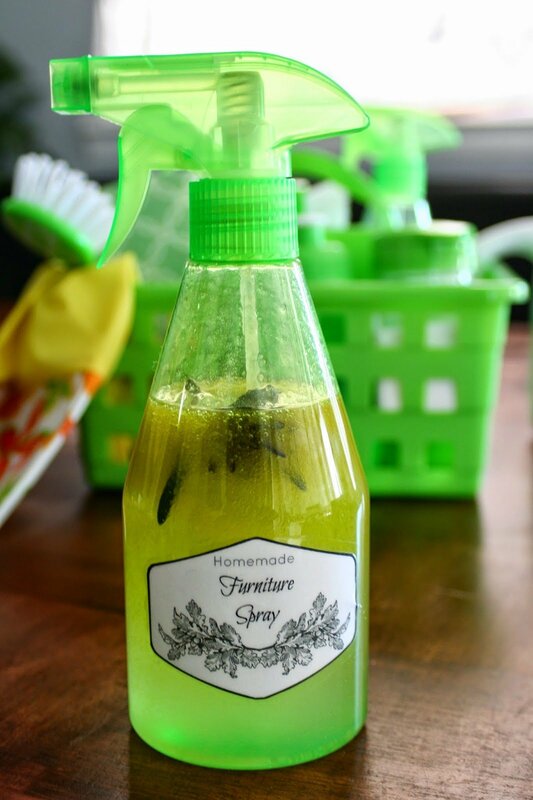 I mixed up a multi-purpose cleaner, furniture spray, fabric refresher, and homemade soft scrub. 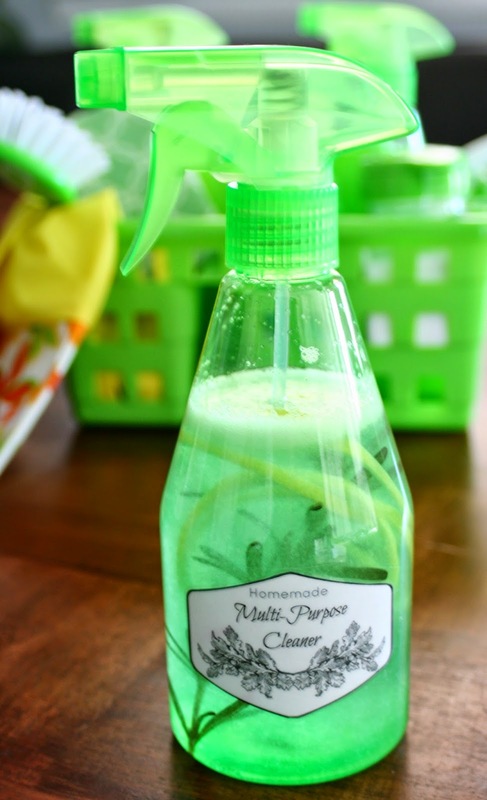 I've shared my multi-purpose cleaner on Jordan's Easy Entertaining in the past. I. Love. This. Cleaner. It's wonderful! It's great on stainless steel appliances, windows and mirrors, counter tops, and laminate flooring. This cleaner contains vinegar, which is antibacterial and just excellent to clean with anyway. It also includes rubbing alcohol, which makes the liquid dry super fast. This is especially helpful in getting a streak free shine on those surfaces. For this particular bottle of multi-purpose cleaner, I wanted to add a scent. At first, I was going to add some lemon and rosemary essential oils, but then I figured, why not just add the real thing? So I sliced up some lemon peel and snipped some rosemary from my mom's backyard. After 2 days of sitting, the cleaner smells pretty nice and the vinegar scent is almost gone. 1. Mix all ingredients in a spray bottle. 2. Use with microfiber cloth for best results. Next up is my furniture spray. This is wonderful on real wood surfaces. Again, it contains a small amount of vinegar. But the main thing (besides water) in this spray, is olive oil. This is probably the only main ingredient that you won't find at Dollar Tree. The olive oil nourishes the wood, and leaves a subtle sheen. I wanted the scent to match the multi-purpose cleaner, so again I included the lemon peel and rosemary sprig. 1. Mix all ingredients in a spray bottle. Shake bottle gently before using. My fabric refresher is something else that I have previously shared on Jordan's Easy Entertaining. The best thing about this fabric refresher is that it costs less than 15 cents to make a bottle this size. Plus, it is so easy to customize. The scent comes from your favorite fabric softener. I happen to love the way original Downy smells, so that's what I used this time. 1. Add fabric softener and baking soda to a spray bottle. Fill the rest of the way up of warm water. 2. Give gentle shake before using. Homemade soft scrub is a new one for me. 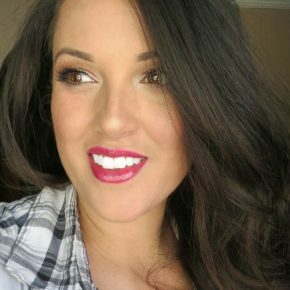 I was cruising Pinterest looking for new cleaning recipes and kept seeing homemade soft scrub come up. I love cleaning my sinks with baking soda pastes, so this seemed like a good idea. All of the recipes seemed slightly different, so this one is my own. 1. Mix all ingredients together and add to a squirt bottle. 2. Shake gently before using. 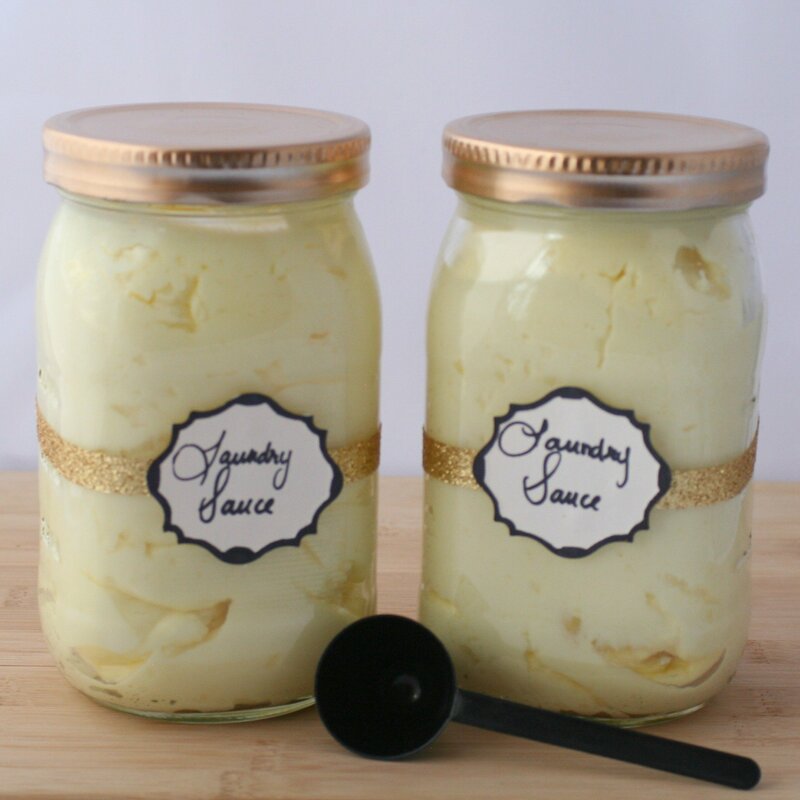 By the way, I made my labels using PicMonkey. Aren't they cute? I love them. I cut them out with scissors and then used clear packing tape to attach them. The packing tape is the perfect size to fit over the labels for attaching and also to protect them in case they get wet. I'm really happy with my new cleaning kit, and I love when things match. Dollar Tree had all of these items also available in pink, purple, and blue. 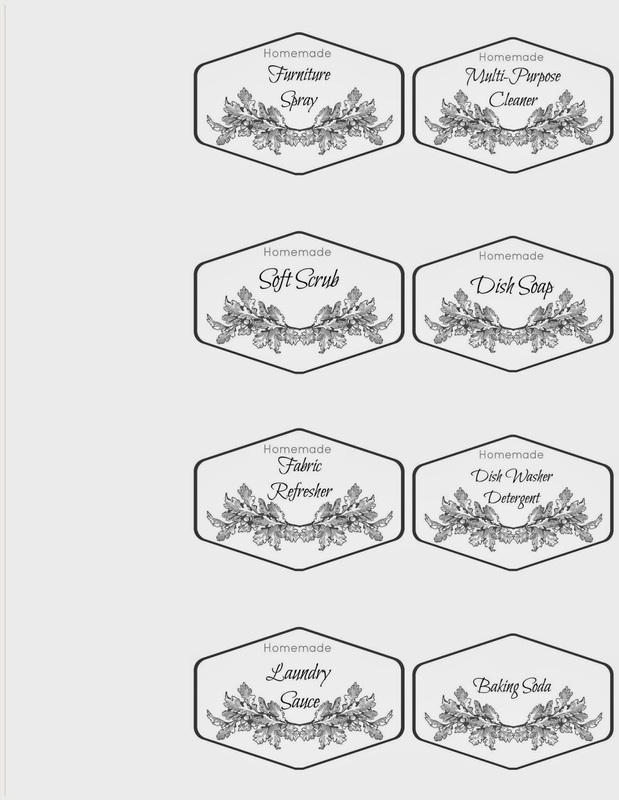 As you can see, I have labels planned for future cleaning products too. 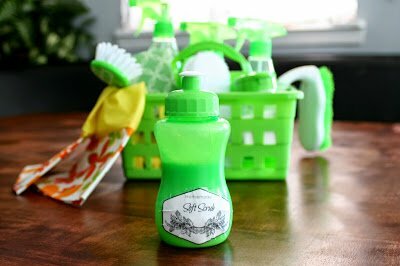 Keep an eye out for kitchen and laundry cleaning kits posts later this month. I love this kit! 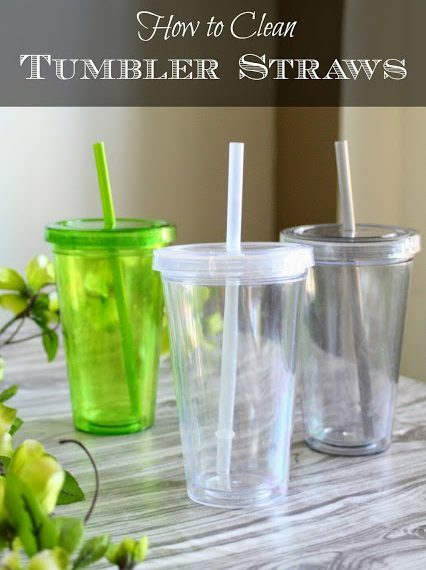 I make mine with essential oils but I love the containers and recipes you have here. Very clever. I use vinegar to clean. My husband hates the smell but I feel like I'm giving back to the environment. Plus, traditional cleaners hurt my nose. It's the exact same situation here! I'm glad lemon helps to mask the vinegar smell. I'm at Dollar Tree almost every other day! I hope you can find one near you. when using real herbs and lemons, do the cleaners go off after a certain amount of time? When I have infused oil with herbs, I've had to use it within a certain time frame. Love the labels!! I really like the bright green kit. I prefer to use all natural products when I clean and have been able to tweak some of your recipes, but I'm not sure about an alternative for the fabric softener. Is that just for scent? Does anyone else know of a more natural way to make a fabric refresher? BTW, love these recipes. I made the whole kit this morning. I don't have a Dollar Tree by me so I got my spray bottles from Ace Hardware, A ketchup dispenser from Wal-Mart for the soft scrub, and an old parmesean cheese shaker lid on a Mason jar (They fit! Who knew?) for the baking soda. Thanks for taking the time to do this! 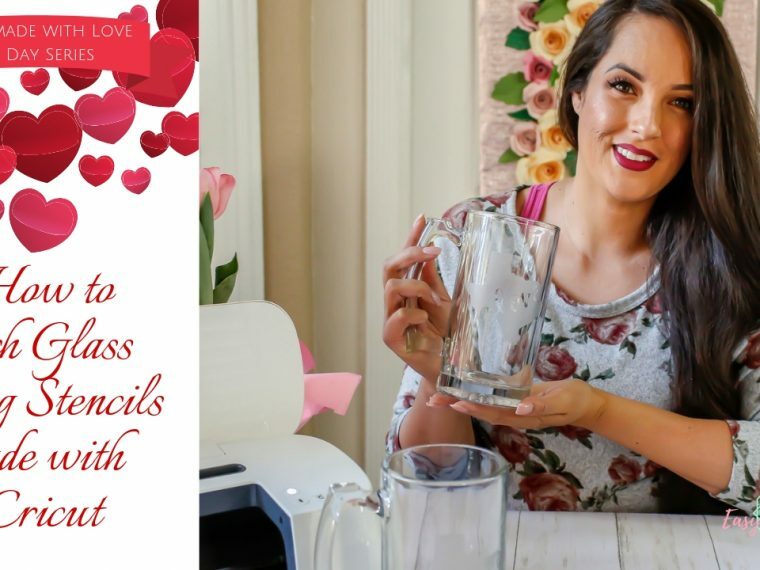 Use distilled water for the majority, a little vodka, and about 10 drops of essential oil. I know vodka isn't "natural" per se, but it allows the essential oil to incorporate with the water and it dries faster. Try using lavender for a de-stressing pillow mist! You can always add a carpet freshener to your kit! Just baking soda with essential oil. My favorite recipe is 1 regular sized baking soda and 2 T of Purex Laudry Crystals! Great for freshening the matress too! Sprinkle it on, wait 15 min. and vacuum. I have been making a vinegar solution with citrus peels, mint springs, and rosemary for a while now and it has a pretty long shelf life. It helps with the vinegar smell as well as added disinfectant properties. You take a jar and fill with any citrus peels of your choosing, add mint or other fresh herbs if you wish stems and all, fill the jar with vinegar and store in a cool dark place for 2 weeks then strain peels and herbs and there you have it. I'm excited to take these recipes and incorporate them. Thank you for sharing. What an amazing set of cleaning agents you have! They are all natural, safe to use, and relatively cheap than most products. Anyway, you can use the mixture of lemon rind and baking soda as an air freshener. At the very least, you won't have to depend on those sprays if you want to make your home smell refreshing at all times. Hope it helps! Wow! 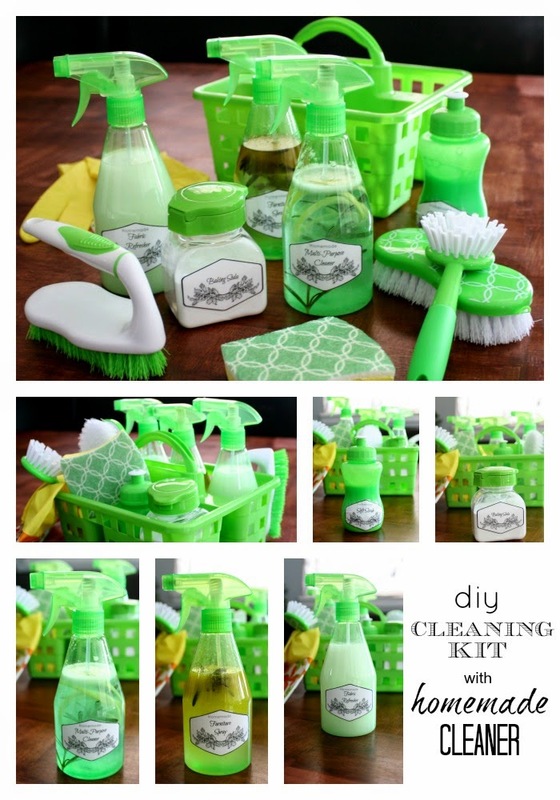 That’s a very cute DIY cleaning kit collection. 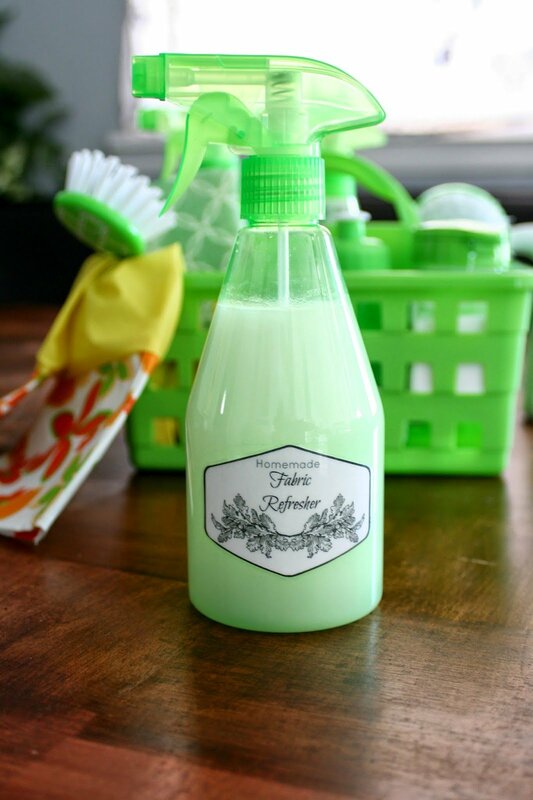 Thanks to Dollar Tree for providing complete homemade cleaning product ideas that everyone needs. It’s good that you also placed your personalized cleaning ingredients on your post. That will be very beneficial to all your readers. Thanks for sharing that, Jordan! All the best to you! I definitely plan on trying ALL of these when I get home! But I did have a question about the wood cleaner. If I use it on my coffee/end tables, will it also remove any marks (like rings from drinks)? 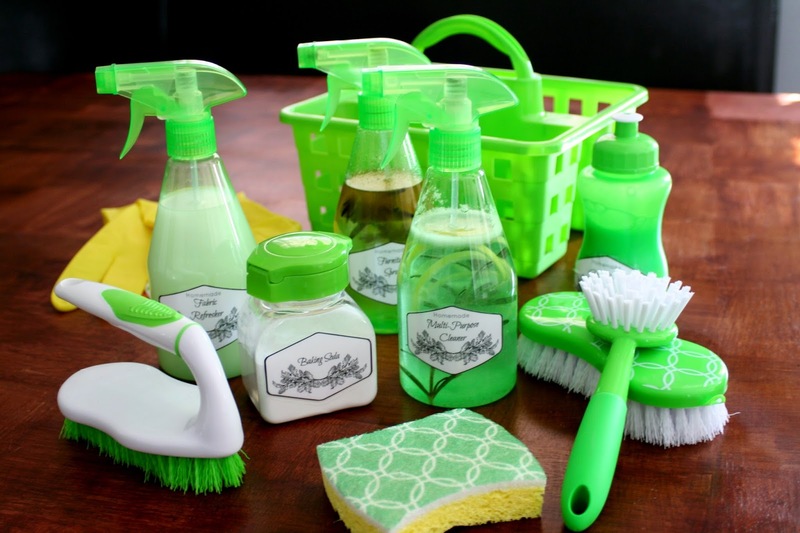 I love the color of your cleaning materials. Green is so environmental, after all. Anyway, that DIY cleaning set is so easy to do, and have lots of use. They can totally round up cleaning the entire household. It wouldn't even cost much. Thanks for sharing such a beneficial post, Jordan! I hope a lot of people would stumble upon your blog. Kudos and all the best to you! I agree with you Bennie! 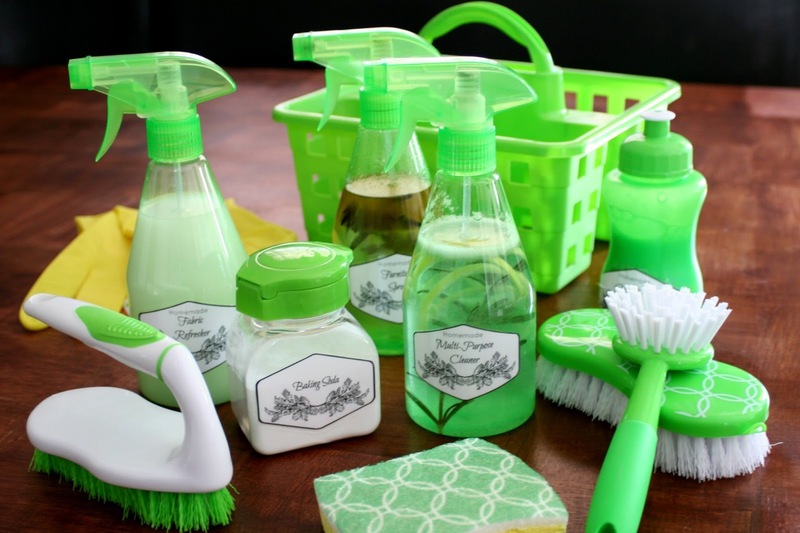 These cleaning supplies are really lovable and cheap too! Thanks for sharing! Use real wool yarn. Make a tight ball the size of a tennis ball. The natural lanolin in the wool is a natural softener and the balls tossing in your laundry helps it dry faster and softened at same time. Also reduces some static. I use 2-3 balls depending on the size of the load. Do these keep for a while? I don't go through a lot of cleaner and would hate for these to go "bad"
Did anyone have an issue with the essential oils breaking down the plastic bottles? I've always heard that citrus oils will break down plastic so I was hesitant to purchase these spray bottles for this purpose. I noticed that you used the ones from the hair isle of the Dollar Tree, which are made of #1 plastic as apposed to the ones from the cleaning section which are # 5. # 1 is a more fragile plastic and therefore, I thought, might be more affected by the oils. Any thoughts? Cleaning the toilet regularly effectively helps prevent the spread of bacteria and viruses especially at the toilet bowl and sink. It does not take much time and effort in doing the task. Here are simple tips to help you get start cleaning.Although, we help you to learn more tips of cleaning. 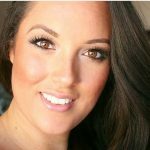 I work for a commercial cleaning company in London and my job is to research different products and find what is best for our cleaners to use. Since a while we also let the cleaners use homemade cleaners as they are really efficient and are better for the health of the cleaners who use them daily. I am very happy to find your post! I'll gladly recommend these recipes! Greetings, Amanda J. Pressure washing is an easy transition for cleaning professionals because it deals in an industry they're already familiar with. You can typically find pressure washers being sold at the same place where you buy carpet cleaning equipment. Once you have acquired your equipment, you can go to your current customers to see if they would desire this service or if they can refer you to someone who does. Then branch out from there. Very nice ideas. Only problem vinegar should never be used on natural surfaces. Such as Marble and Granite or natural woods. I am trying to find a natural cleaner I can use, because my house has tons of granite in it. نضع أنفسنا في موقف قوي بشكل لا يصدق – وهذا هو المكان الذي نحن عازمون على البقاء. لإزالة الرخيصة في المملكة المتحدة – التخطيط. Nice post! Also you could check this siivouspalvelu. شركة من اكبر الشركات المتميزه في مصر علي اعلي مستوي من التميز شركة امن وحراسة في العمل اقوي العروض مع شركة امن وحاسة في جمهورية مصر العربيه . Does Ufone Have 3G Coverage In muridkey? Does Ufone Have 3G Coverage In muree? Does Ufone Have 3G Coverage In multan? Does Ufone Have 3G Coverage In mirpur? Does Ufone Have 3G Coverage In mianchannu? This cleaning kit post is very useful, Thanks for sharing this information. اقوي العروض الان تقدمها اليكم توكيل صيانة كاريير علي اعلي مستوي من التميز استمتع الان بالكثير من الطرق والخدمات الحديثة . عروض رحلات الغردقة استمتع الان بالكثير من الطرق الحيدثة في العمل . شركة من اكبر الشركات المتميزه في مصر في اعمال شركة تسويق الكتروني المتميز الان استمتع باقل سالاسعار علي جميع التصميمات المتيمزه . امتار اسم متميز في المملكة العربيه السعودية كشف تسربات المياه علي اعلي مستوي بجودة عالميه ومتميزه وباقل سعر في السعودية وعلي يد متخصصين . Aww great article. I am so inspired. Keep up the good work. تمتعوا الآن بأقوي الخصومات التي تقدم من خلال صيانة جليم جاز الذي يعتبر من أكبر مراكز الصيانة في مصر كما يمكنكم زيارة أقرب فرع صيانة فريجيدير للحصول علي العروض التي تقدمها لكم شركتنا المتميزة و المعتمدة. اتصلوا الآن علي رقم صيانة كريازي للتواصل مع نخبة متخصصة من مهندسين ذو خبرة واسعة بالمجال يعملون لدي مركز صيانة كريازي المعتمد . عروض و خصومات يمكنكم الآن أن تبادروا بالحصول عليها من خلال مراكز صيانة وايت وستنجهاوس المعتمدة كما يقوم فريق مركز صيانة سامسونج بأفضل حملات صيانة فورية للمنازل. I was looking for a way to mask the vinegar smell but I see you use lemon, thanks. This is great! It is such a lovely article. 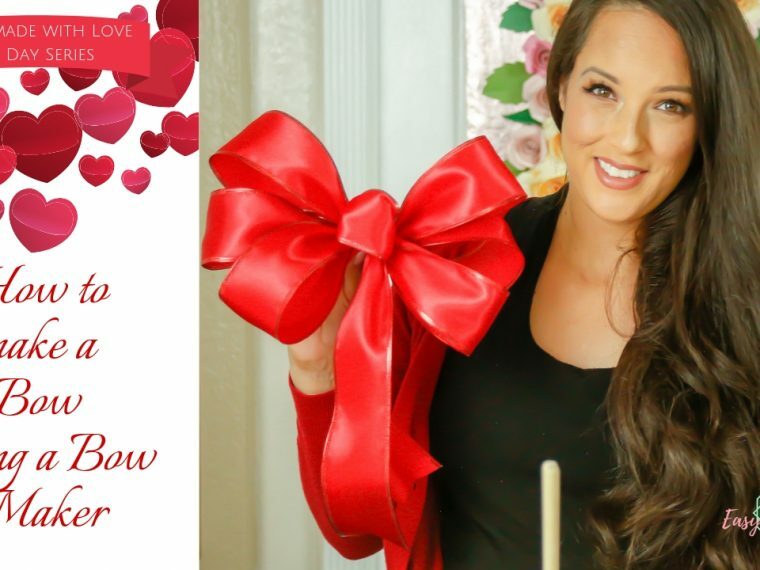 It’s just amazing how you put all these together on “DIY CLEANING KIT WITH HOMEMADE CLEANERS” with such great tips! Looking forward to more of these.